Making Strides Against Breast Cancer: ABC7NY ask you to join us and walk! Almost everyone has been touched by breast cancer in some way, so we've decided to make a difference by walking and raising money in our local American Cancer Society Making Strides Against Breast Cancer event. Today, one of every two women newly diagnosed with breast cancer reaches out to the American Cancer Society for help and support. The donations our team raises will enable investment in groundbreaking breast cancer research, free information and services for women diagnosed with the disease, and access to mammograms for women who need them. Our donations will help more than 2.9 million breast cancer survivors celebrate another birthday this year! Saving lives from breast cancer starts one team, one walker, and one dollar at a time. 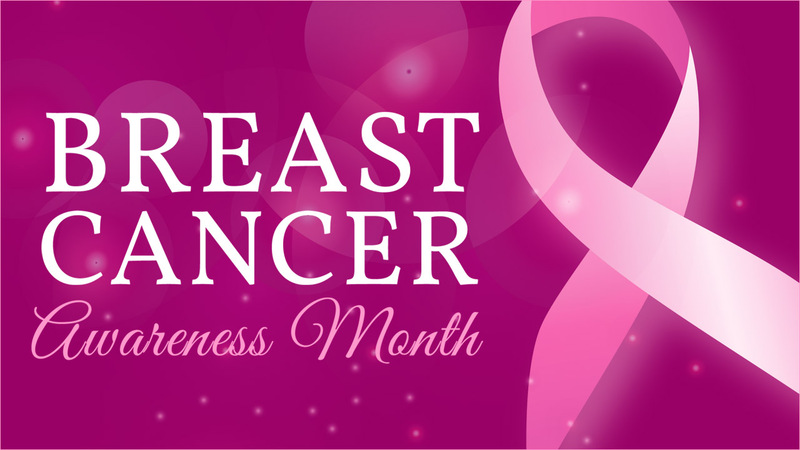 We know that the American Cancer Society is the leader in the fight to end breast cancer. We know that supporting them will ensure that if you need someone to talk to anytime of the day or night, they'll be there. If your friend is losing her hair from chemo, your mother needs a ride to treatment, or a loved one needs a place to stay when treatment is far from home, they will be there to help. What day is the Making Strides of Central Park walk? What time does the walk begin and end? Check in begins at 7:30AM. The first of the rolling starts begins at 8:00AM and ends at 10:15AM. The overall event concludes at 12:00PM. Do I need a bib number? Is there a specific wave time for me to start? There are no bib numbers. We highly recommend that all walkers register for the walk either online or in-person on walk day. Our walk has nine (9) rolling starts to prevent the buildup of walkers on the route, so between 8:00AM and 10:15AM there are opportunities to start walking every 15 minutes. The event concludes at 12PM. Where is the Making Strides of Central Park walk located within the park? The walk starts and ends at the Bandshell from the 72nd Street Transverse. We high encourage walkers to enter from E 72nd Street but you can still access our walk by entering the park at W 72nd Street. Is there a registration fee to participate in the walk? No, there is not registration fee to participating in any Making Strides event, but we encourage you make a self-donation and ask your network to support your efforts. How many miles is the walk? Is there a designated route for the walk? Yes, the walk route is structured with barricades and delineators to guide you throughout the route. For your safety and the safety of those in the parks that day, WALKERS ARE NOT PERMITTED TO WALK OUTSIDE THE DESIGNATED ROUTE. Volunteers will be stationed along the route to cheer you on and answer questions you may have. Are these water stations on the route? Yes, there are two water station on the route. One on East Drive (mile 1), and the second on West Drive (mile 3). Will food and beverages be available after the walk? Yes, after you cross the Finish Line be sure to stop by the Refreshment tent to get water, juice and other beverages, as well as packaged snacks. There is no designated parking available for participants on walk day. We encourage drivers to park in a local parking garage or take mass transportation. Are children allowed on walk day? Yes, we love to have our little Striders out there! This is a day to bring family and friends of all ages together to stand against breast cancer. Dogs are allowed at the walk but please keep in mind that our walk has 50,000 walkers and dogs may feel overwhelmed if they are not formally trained. Dogs must be leashed always. Is the route accessible for stroller, walkers, wheelchairs, etc.? Yes, our walk is accessible to strollers, walkers, and wheelchairs. People of all ages are encouraged to come spend the day with us in the park and walk! Can someone register the day of the walk? Yes, participants who didn't have a chance to register prior to the walk can do so at our Check-In tent. What is someone wants to come to the walk, but doesn't want to physically walk the route? We completely understand that not everyone has the physical ability to walk four miles. Not a problem! They can take a seat on one of the many benches in the Bandshell area, listen to the entertainment, visit sponsor tents, get their picture taken, and shop at the Pink Store while your team is walking. Will the walk be cancelled and/or rescheduled if it rains? No, the walk will not be cancelled or rescheduled if it rains. Our event takes place rain or shine. In the case of a state emergency and/or extreme weather, the American Cancer Society will send out mass communication to our participants with further details. Do you accept credit card donations on walk day? Yes, we encourage walkers to make an event day donation whether it's through credit card, cash, or check. Can I hand in donations at the walk? Will these donations be applied towards my team and/or personal fundraising? Yes, you can hand in donations at the walk. Due to the high volume of donations received that day we do not have the man power to apply those funds directly to your team and/or personal fundraising efforts. All donations turned in the day of will go towards the Making Strides of Central Park overall event goal. How do I get a Making Strides walk T-shirt? Walk T-shirts are sold on walk day at the Pink Store. Here you can buy your t-shirt and other pink MSABC swag! FIND A MAKING STRIDES WALK NEAR YOU!